You hear about it all your life... and it sounds so elusive. For a New England girl it seems the only way to get there would be through photos or a endure a cross-country road trip... and even then, in the imagining, the adventure seems to be the road trip itself. Unless of course, you are travelling further by mule. Who knew that leaning on that rail with the wind rushing at you would be an adventure all in itself? And who knew, that just by taking in the rocky view before me, that I could travel further... without a mule? 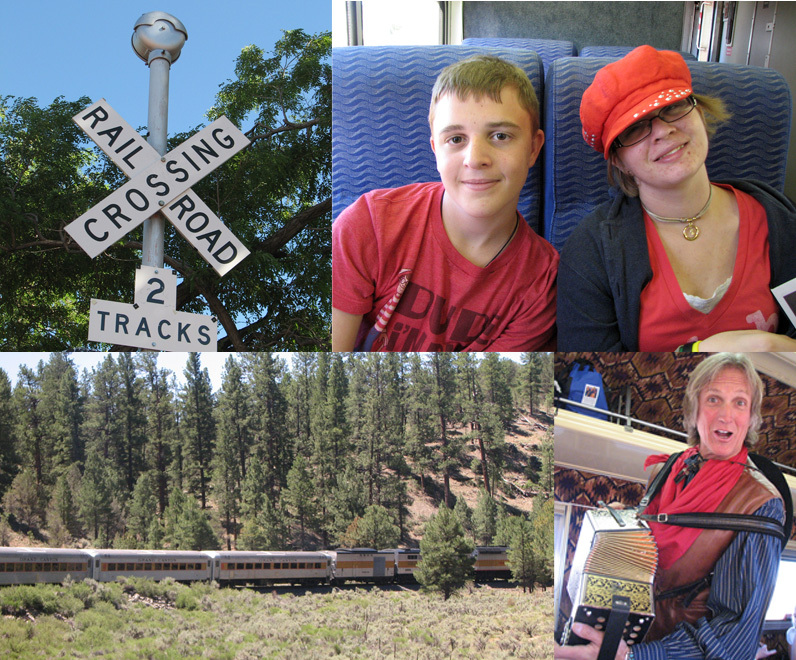 Who knew there was a Grand Canyon Railroad? Not me. Snacks, entertainment and a luxurious, lulling ride through the countryside... and then we were there. I think God had something else in store for me though. Instead of letting the Grand Canyon capture my soul like Africa, He let the Grand Canyon take me on a journey. Oh it's so cool! I hope to go there someday . . .
Oh wow. What a fantastic memory to make. Gorgeous! This is going to seem like a silly comment for a serious and beautiful post...is that lady with the yellow shirt and blue plaid pants mooching in on your family photo?!? ;) Or do you know her!? And seriously, love the pictures. kat- you crack me up! that is actually my sister-in-law :) her husband (eric's brother!) is taking the picture. Hi Dawn...Just happened on to your blog by accident but I'm glad I did. I read the last 5 or 6 posts and enjoyed them. Your pictures are great. Would like to follow if you don't mind. I am so glad YOU all were able to enjoy your adventure....beautiful!